General Motors and IBM today announced a partnership to bring the power of OnStar and IBM Watson together to create OnStar Go,the auto industry’s first cognitive mobility platform. Starting in early 2017, OnStar is expected to give millions of GM drivers the ability to connect and interact with their favorite brands. 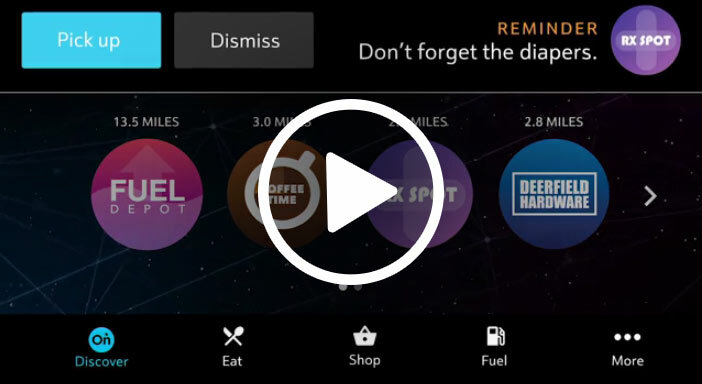 The platform will deliver personalized content through the dashboard and other digital channels supported by the OnStar Go ecosystem to make the most of time spent in the car. Combining OnStar’s industry leading vehicle connectivity and data capabilities with IBM Watson APIs will create experiences that allow drivers and passengers to achieve greater levels of efficiency and safety. 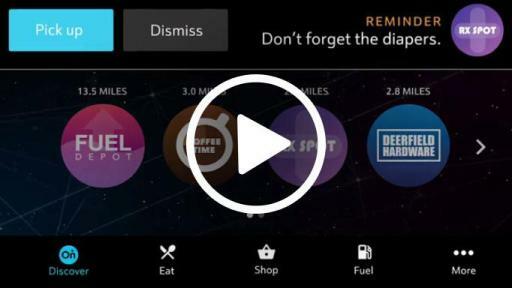 These experiences could include avoiding traffic when you’re low on fuel, then activating a fuel pump and paying from the dash; ordering a cup of coffee on the go; or getting news and in-vehicle entertainment tailored to your personality and location in real time. The GM/IBM partnership will expand the existing OnStar AtYourService offers and deals platform by launching new capabilities supported by OnStar Go with IBM Watson. These capabilities will be available in more than two million 4G LTE connected vehicles and millions of GM vehicle brand app-enabled mobile devices in the U.S. by the end of 2017. 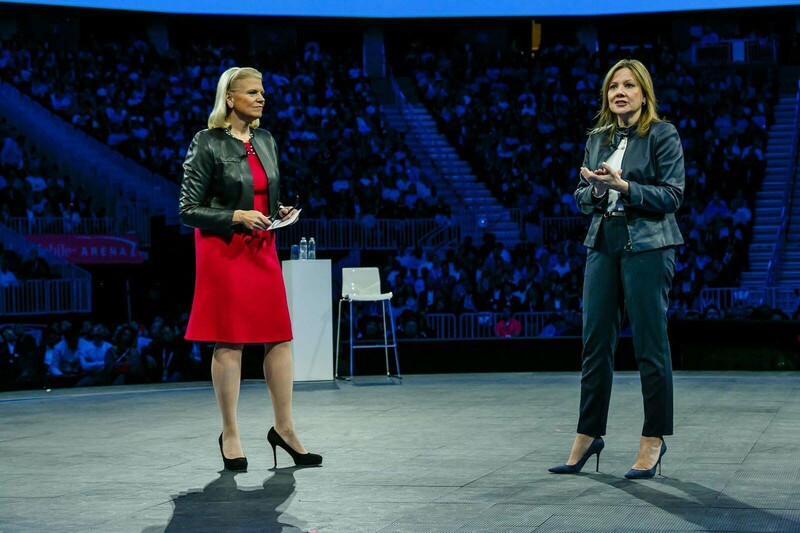 With the customer’s consent, Watson will learn the driver’s preferences, apply machine learning and sift through data to recognize patterns in their decisions and habits. This information will allow brand and marketing professionals working with IBM and OnStar to deliver individualized location-based interactions that directly impact their target audiences. Companies in retail, fuel, hospitality, media and entertainment, restaurants and travel and transportation and more can use OnStar Go to build individualized mobile, in-vehicle experiences for a growing population of connected drivers that opt-in. OnStar Go taps Watson Personality Insights and Watson Conversation APIs to remind a working father to pick up diapers and formula at the pharmacy a few miles before his exit, so he won’t have to leave the house again once he gets home. The platform employs Watson Tradeoff Analytics to give a traveling foodie dining recommendations from celebrity chefs when driving in a new city. Watson Retrieve and Rank, used by OnStar Go, lets the driver know that their order is ready for pickup at a nearby retail store and one of the store’s employees will load their purchases into the car. ExxonMobil, Glympse, iHeartRadio, Mastercard and Parkopedia are the first brands to join the platform. ExxonMobil will use the cognitive mobility platform to help drivers quickly locate Exxon and Mobil retail fuel stations, recommend the best fuel and lubricant product for their vehicle, and authorize fuel payment from inside the vehicle. Consumers can even pay for a car wash or, when away from their car, get notified when they are low on fuel. Glympse, a location technology partner in the cognitive mobility platform, enables consumers and businesses to manage customized real-time location sharing with anyone on any device. 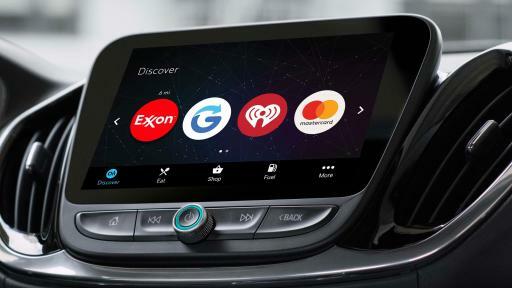 iHeartRadio will use Watson Personality Insights from OnStar Go to curate personalized experiences that leverage on-air personalities and local content from radio stations across the U.S. Drivers will be invited to share information from their calendars, social graph, location, music preferences and more, to create dynamic and locally relevant entertainment experiences only available through the power of radio. Mastercard will enable drivers and passengers to safely make simple, secure and seamless payments for goods and services from the comfort of their cars. By integrating the security of Mastercard tokenization platform -- Mastercard Digital Enablement Service (MDES) -- and Masterpass digital payment service within OnStar Go, Mastercard will enable consumers to complete transactions using credit or debit cards stored in their Masterpass wallets. Parkopedia will provide detailed parking spot information -- including opening hours and up-to-date prices as well as booking and payment capabilities. Drivers find, reserve and pay for parking all at the click of a button. The cognitive mobility platform was designed and developed by IBM iX in conjunction with OnStar, using iX’s expertise in experience and mobile design. 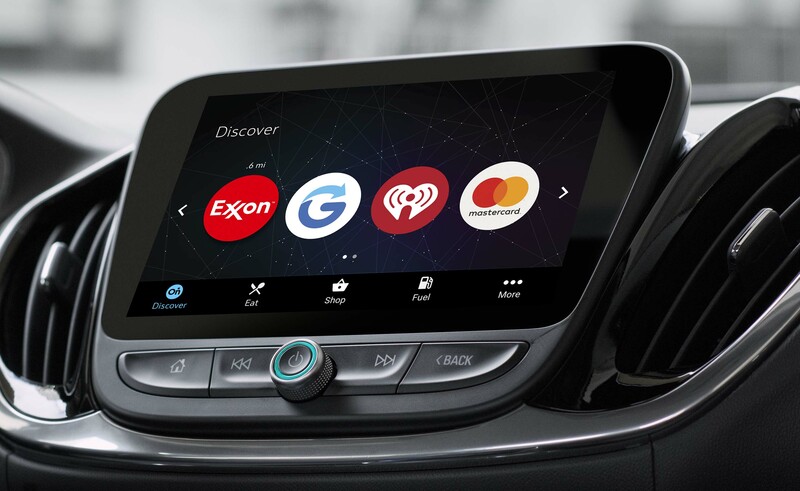 iX is also working with GM to design OnStar’s intuitive, touch screen interfaces for consumers on the go. The Weather Company, an IBM Company, will provide rich weather and location data to support personalized targeting and warnings about driving conditions. GM began the connected vehicle revolution 20 years ago with the launch of OnStar and has more connected vehicles on the road than any other automaker. By the end of 2016, GM expects to have 12 million On-Star connected vehicles on the road worldwide. To watch IBM and GM announce OnStar Go live at World of Watson on Wednesday, Oct. 26 at 4 pm ET, visit https://ibmgo.com/wow16/schedule. General Motors Co. (NYSE:GM, TSX: GMM) and its partners produce vehicles in 30 countries, and the company has leadership positions in the world's largest and fastest-growing automotive markets. GM, its subsidiaries and joint venture entities sell vehicles under the Chevrolet, Cadillac, Baojun, Buick, GMC, Holden, Jiefang, Opel, Vauxhall and Wuling brands. More information on the company and its subsidiaries, including OnStar, a global leader in vehicle safety, security and information services, can be found at http://www.gm.com. Watson represents a new era in computing called cognitive computing, where systems understand the world in a way more similar to humans: through senses, learning, and experience. Watson continuously learns from previous interactions, gaining in value and knowledge over time. With the help of Watson, organizations are harnessing the power of cognitive computing to transform industries, help professionals do their jobs better, and solve important challenges. As part of IBM’s strategy to accelerate the growth of cognitive computing, Watson is open to the world, allowing a growing community of developers, students, entrepreneurs and tech enthusiasts to easily tap into the most advanced and diverse cognitive computing platform available today. Watson solutions are being built, used and deployed in more than 45 countries and across 20 different industries. For more information on IBM Watson, visit: ibm.com/Watson and ibm.com/press/watson. 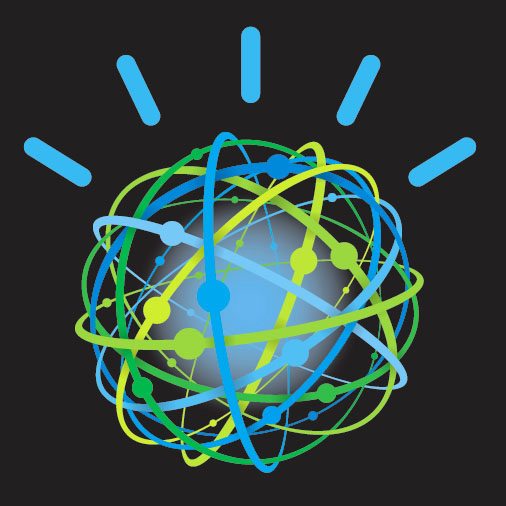 Join the conversation at #ibmwatson. For more information about how IBM Watson is driving progress in the world, watch: https://www.youtube.com/watch?v=PujCkDAXji8. For more information on IBM iX visit www.ibm.com/ibmix.